Where else to start but here? Ole Gunnar Solskjaer has been a revelation as Manchester United manager and the feel-good effect of his arrival should add to what will already be a great atmosphere tonight. The Norwegian tactician knows a thing or two about great European nights for the club, having starred in probably the most memorable of all himself as a player. Solskjaer’s side also play an attractive brand of attacking football that will fire up the crowd and give United every bit of confidence that they deserve to be on this stage and can take the game to the French champions. As is well known by now, PSG go into this game extremely light up front as both Neymar and Edinson Cavani will be missing. According to the Evening Standard, Thomas Meunier is also out of action for this one, though Marco Verratti should be back. 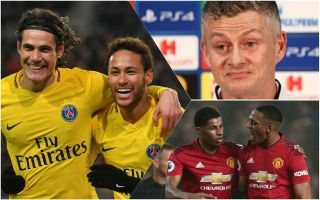 While it would be unwise to play down the threat of other star names like Kylian Mbappe, Julian Draxler and Angel Di Maria, it does make a big difference missing their go-to man Neymar and joint-top scorer Cavani. PSG don’t tend to get past this stage in the Champions League, despite all their investment down the years. The Ligue 1 champions aren’t exactly tested much in their domestic league, where they thrash opponents regularly and have strolled to the title in most recent seasons. With an intimidating atmosphere at Old Trafford and an in-form side up against them, one can well imagine PSG choking once again at this level as they have so often in the past. Now, of course, most French teams coming to Manchester in the past won’t have had big names like Mbappe on their books, but along with the other factors above, this should give United plenty of confidence ahead of tonight. Give us your prediction below! Prediction for Man Utd vs PSG?